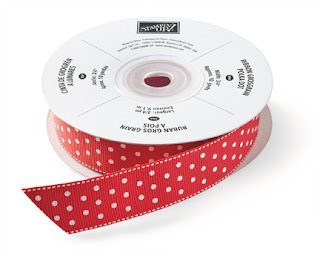 Stampin' Up ideas and supplies from Vicky at Crafting Clare's Paper Moments: Special offer - free ribbon! Special offer - free ribbon! 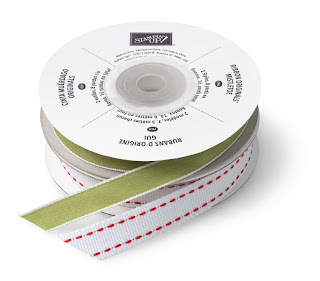 You may be aware of Stampin' Up's fabulous new offer - buy a Christmas bundle and get an exclusive spool of ribbon absolutely free - but have you SEEN the ribbon?!!! 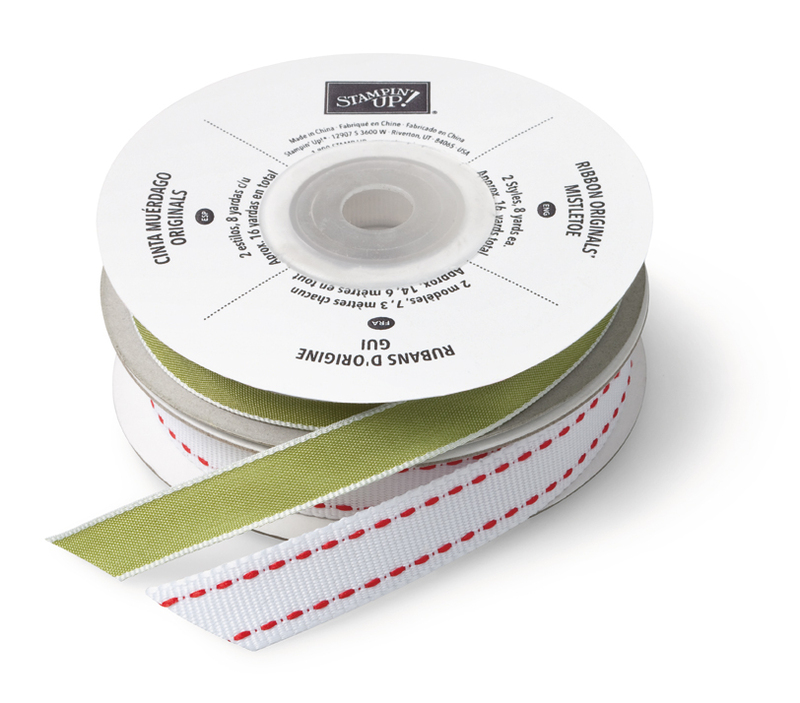 You get two separate ribbons with this utterly gorgeous Mistletoe option! And how scrumptious is this vibrant Polka Dot style? 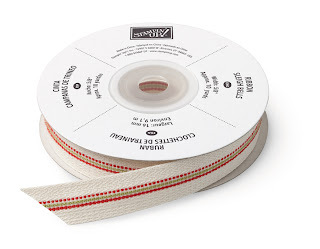 AND you get two-in-one with this one: If you look at the card on the right at the top of this post, you'll see what this ribbon looks like on the reverse side. Isn't it fabulous?! 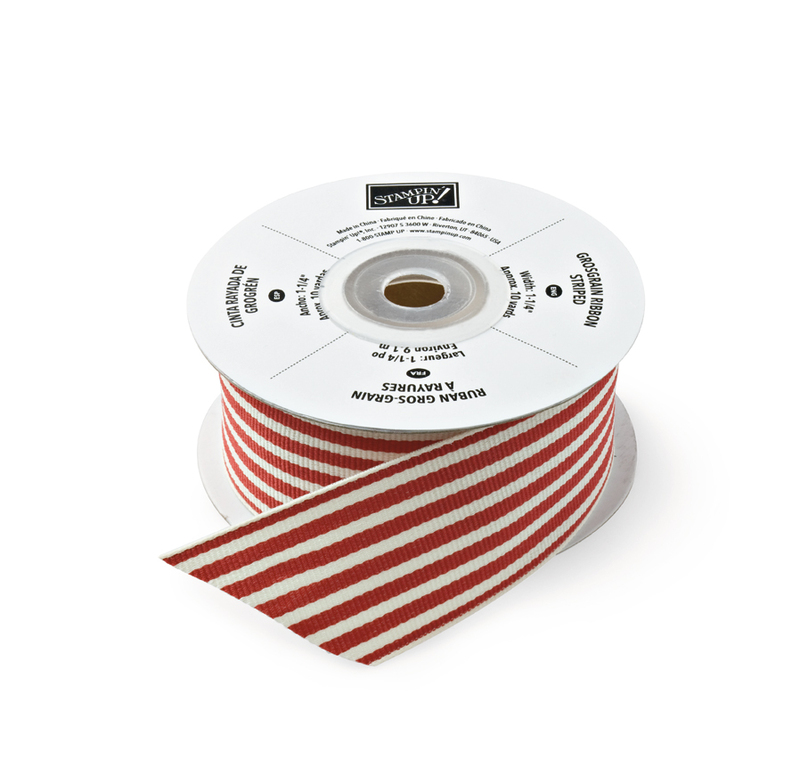 And last, but certainly not least, is the classic 1 1/4" striped grosgrain ribbon - this time in Riding Hood Red. You may have noticed that there is an exclusive new designer paper that isn't available in the catalogue. Here it is - the bigger squares on the left are a flocked design! Can't wait to get my mitts on that! The third thing to do is email me your order (don't forget to tell me which ribbon you're going for!) If you have any questions or if I can help with anything else, do get in touch - I'm always happy to help. The fourth thing to do is wait for your scrumptious new goodies to arrive! Happy shopping! I'll be back from the Stampin' Up European convention tomorrow - ready for a nap I've no doubt! Thanks for dropping in today. Have a great weekend! You did cute things to show off the new ribbon. Love that patterned paper. I don't think we have that in the US.